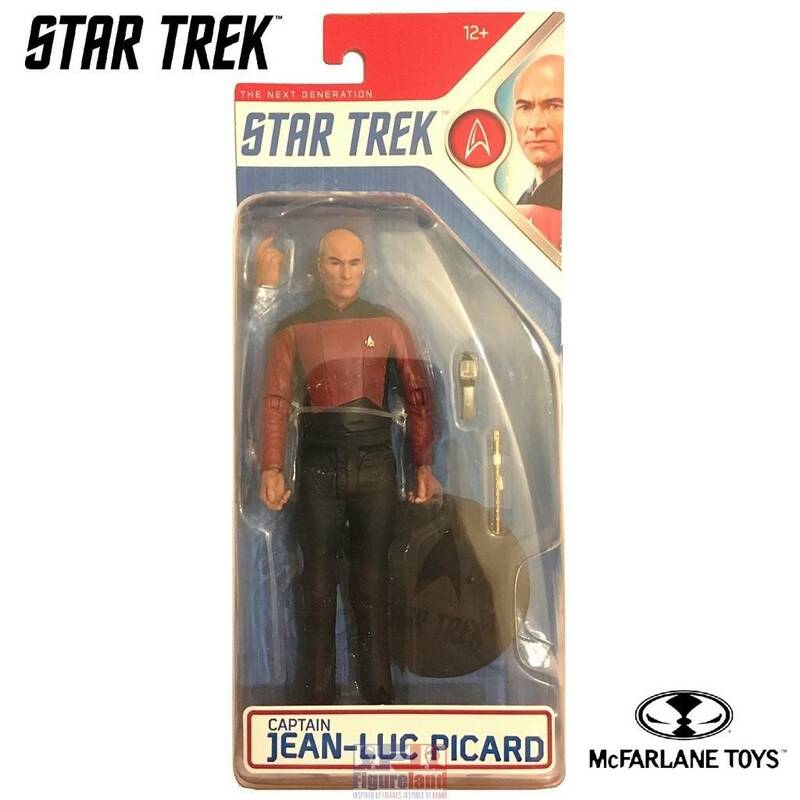 This is Captain Jean-Luc Picard, the Captain of the USS Enterprise and he's wearing his Command Red Starfleet (Type B) uniform, he comes with a Type II Phaser and Ressikan Flute. 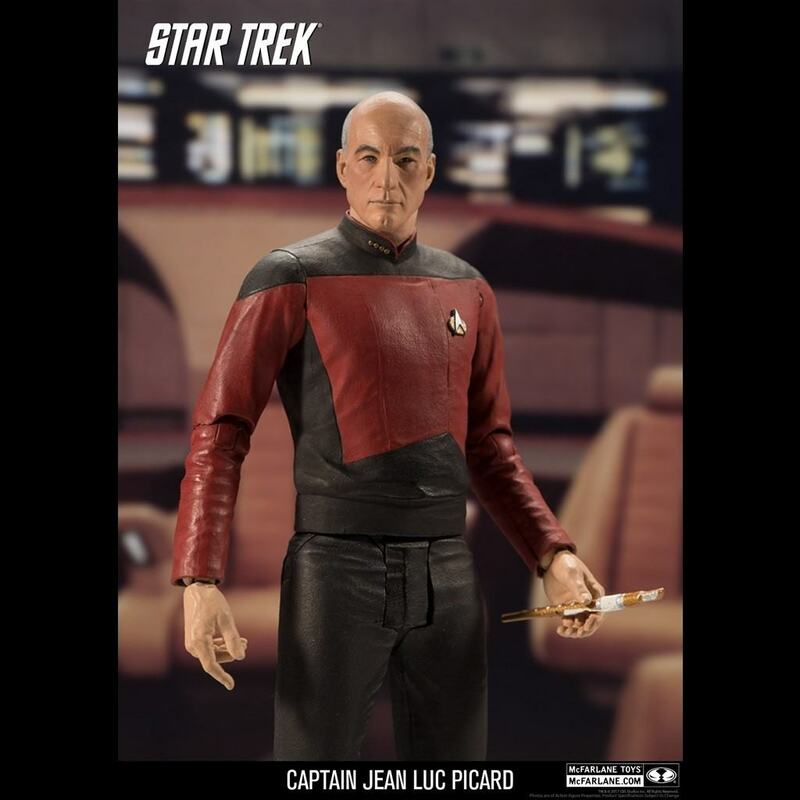 From Mcfarlane Toys, this is Captain Jean-Luc Picard, the Captain of the USS Enterprise (NCC-1701-D) and he will jump head first into the action to show that diplomacy can be effective and despite of his mastery of rhetoric, Picard is also a very tactical Captain when he comes face to face with any violent threats. 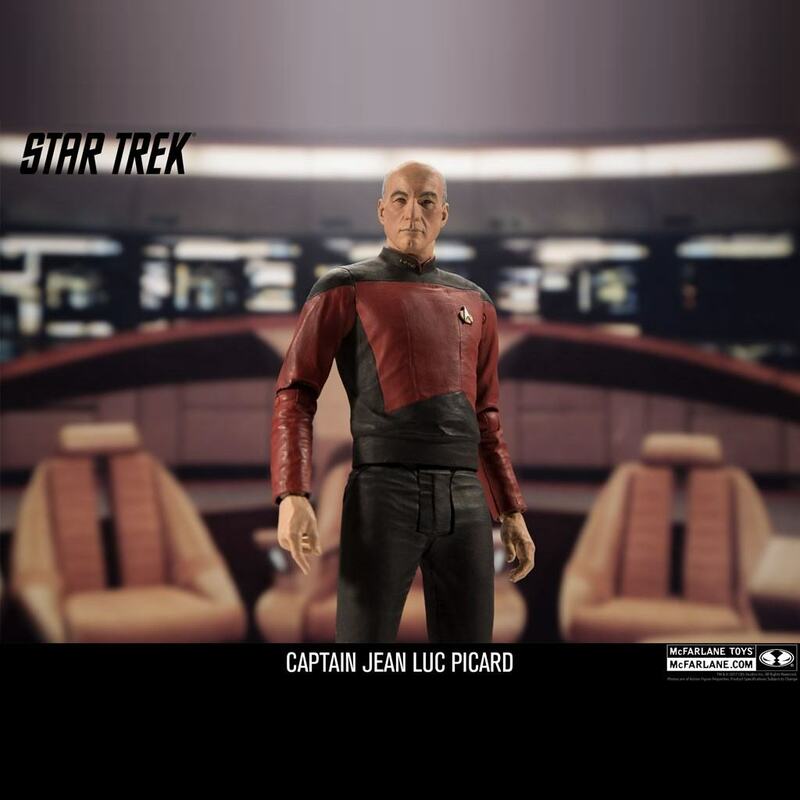 Captain Picard will go Where No One Has Gone Before, seeking out new life and new civilizations with his diverse crew. 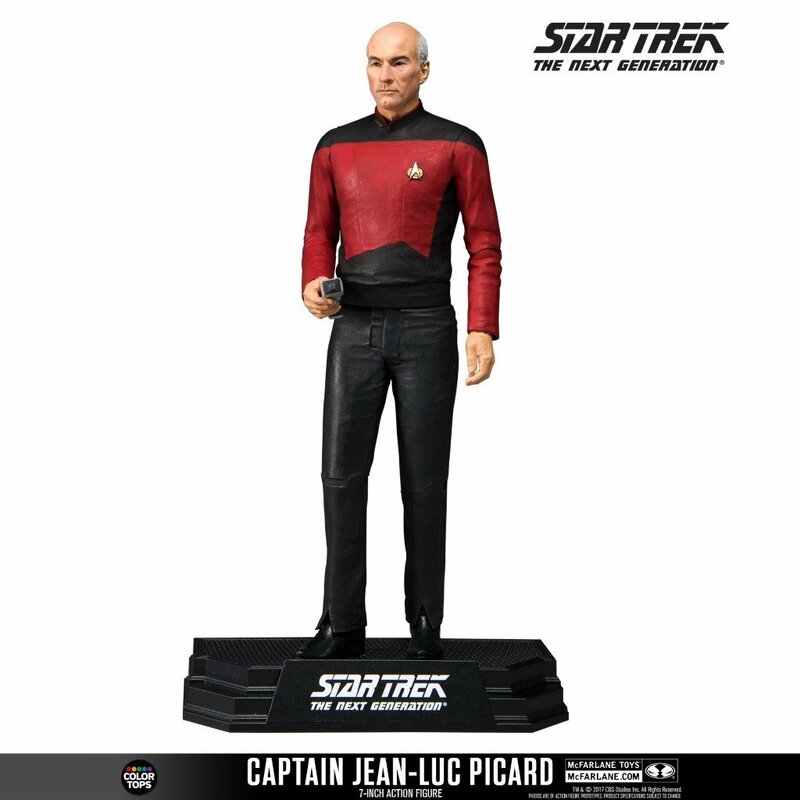 Wearing his Command Red Starfleet (Type B) uniform, he also comes with additional accessories including a Type II Phaser and Ressikan Flute, which is from the Inner Light episode. 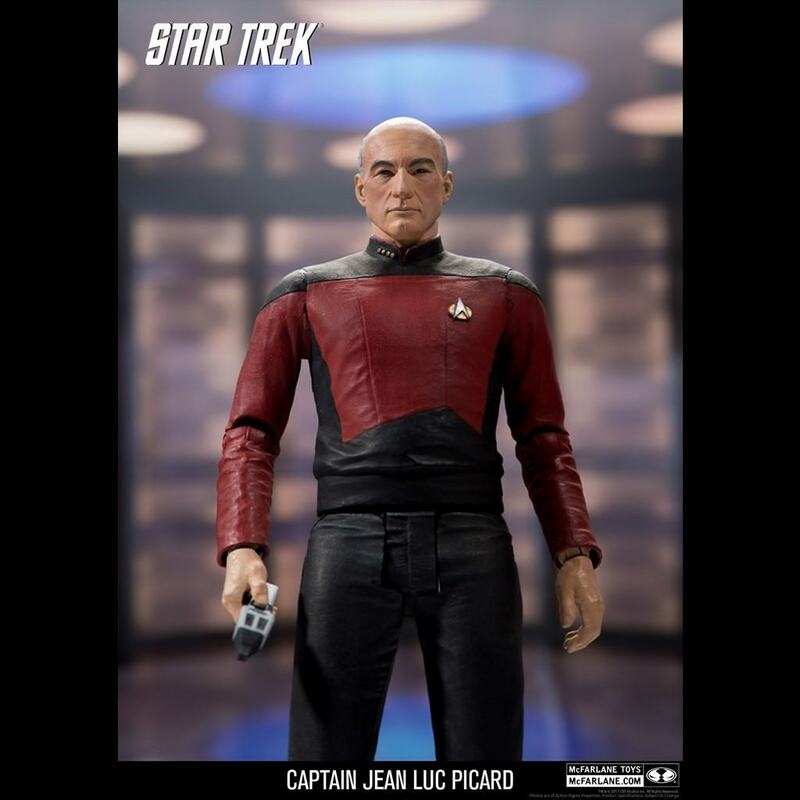 Picard stands at 7 inches tall, has multiple points of articulation and also comes with a stylized brand specific base. Comes packaged in Collector Edition Window Box.